Yesterday seeing was a bit low than what i usually see here.. 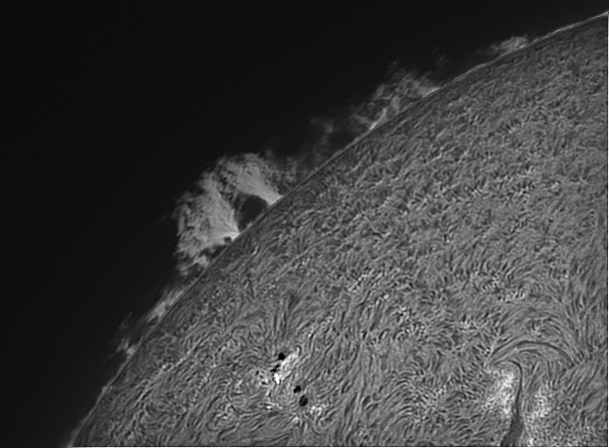 Here is a combined image of a prominence and the solar surface. Same equipment and processing routine: Lunt 60 telescope, Televue 2.5X barlow and DMK21 camera.